Contribute To A Thriving Community! Wi-Fi NOW is the no.1 meeting place for the global Wi-Fi industry. We bring together the movers, shakers, innovators, startups, established leaders, disruptors, experts, and thought-leaders. With unrivalled networking opportunities & engagement with carriers, Wi-Fi NOW is a great environment for you to develop your business and take your products to market. 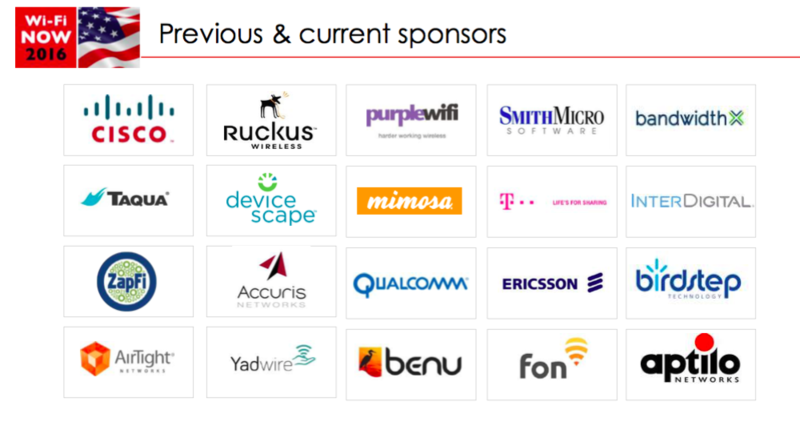 To learn more about how you can sponsor including: speaking, branding, and exhibition options and to discuss your individual requirements contact Wi-Fi NOW Chairman & CEO Claus Hetting at claus@wifinowevents.com or alternatively fill out the form below and we will get back to you!